While most dentists will tell you that the best way to prevent tooth decay is with proper hygiene, there are extra measures that can be taken. 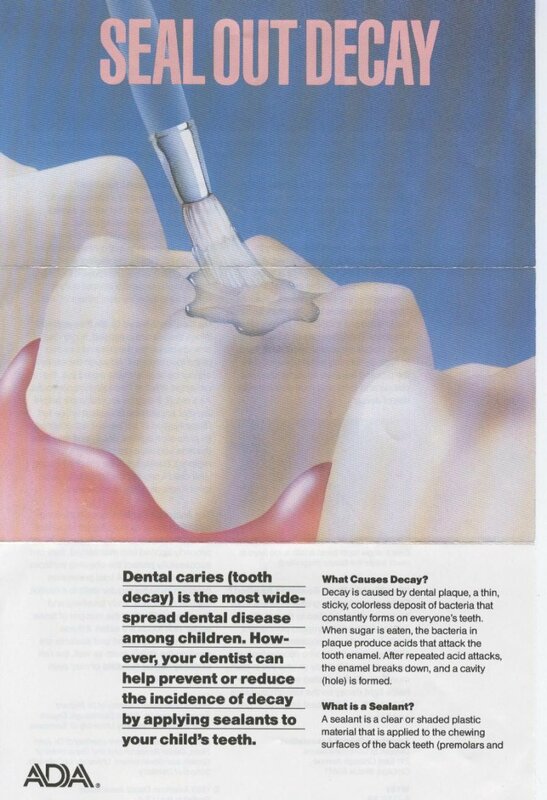 A dental sealant can give your teeth an extra edge in preventing decay and disease. Dental sealants are plastic coatings that are placed over healthy teeth to smooth out the rough edges, pits and fissures where decay is most likely to begin. Back molars in particular are most susceptible to decay due to deeper gaps and spaces. A quick look inside will tell the dentist just how many teeth should be covered. 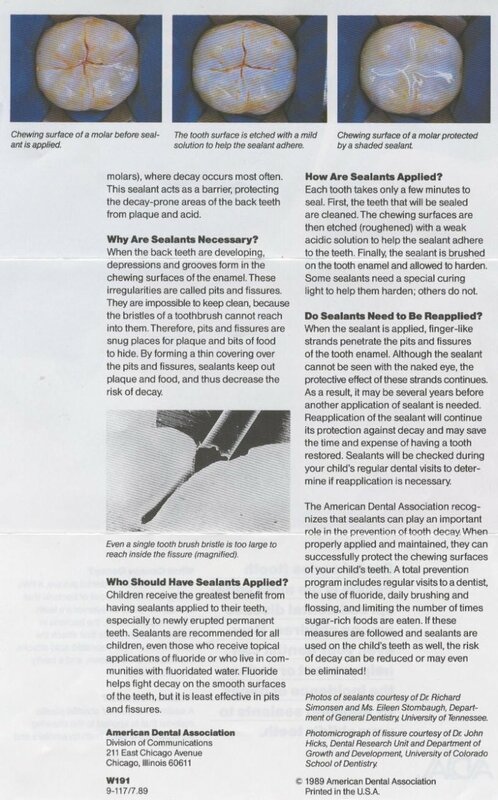 The process of applying dental sealant is easy and straightforward. Sealants are routinely placed by hygienists. No drilling is required, and there is no pain or stress during the procedure. Even after the dental sealant has been applied, regular visits to the dentist for a checkup and cleaning are still in order. A dental sealant is an excellent form of preventive dentistry, and in many cases it can prevent more serious problems later on. However, the sealant is not permanent, and lasts perhaps three to five years. This technique has been around since the 1970s, and the American Academy of Pediatric Dentistry has conducted studies that show that children who have had dental sealants applied have 50 percent less cavities than those who have not.